In January 1978, a group of fifteen Vietnam veteran advocates got together in Washington, D.C., and began the organization that became Vietnam Veterans of America (VVA). 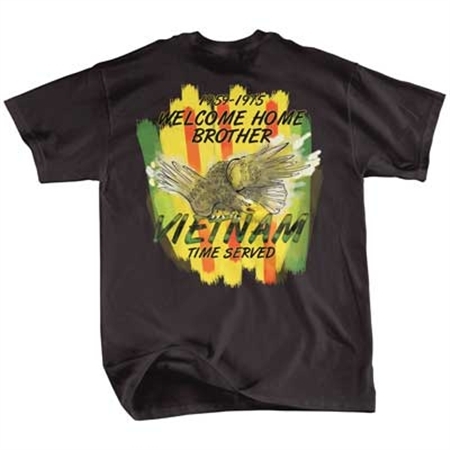 VVA today is the only congressionally chartered national Vietnam veterans service organization exclusively dedicated to Vietnam-era veterans and their families. 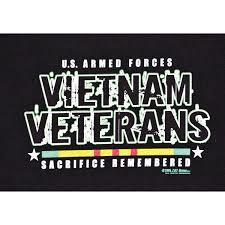 When VVA was formed in the late 1970s, the established national veterans organizations and the Veterans Administration had failed for more than a decade to address any of the many issues of concern to Vietnam veterans. As a result, a vacuum existed within the nation’s legislative and public agenda. In January 1978, a group of Vietnam veteran activists came to Washington, D.C., with a bold plan: to form a new veterans advocacy organization dedicated exclusively to the needs of Vietnam veterans. 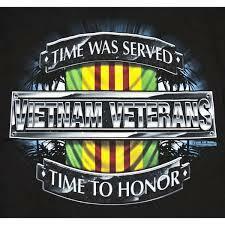 VVA – initially knows and the Vietnam Veterans Coalition and then the Council of Vietnam Veterans – began its work in a small office in downtown Washington, D.C.
VVA’s founders envisioned themselves as a lobbying group, not a membership organization. They saw their primary mission as working the halls of Congress, which, in 1978, did not have an organized advocacy group for Vietnam veterans. Therefore one of the organization’s first tasks was to find allies on Capitol Hill. The first member of Congress to sign on was Michigan Democratic Representative David Bonior, a U.S. Air Force Vietnam-era veteran. Bonior not only became VVA’s chief ally in Congress, but he also formed the Vietnam Veterans in Congress caucus and became a key national proponent for immediate change in the nation’s policies toward Vietnam veterans. VVA became a membership organization in 1979 and set to work on the issues it remains committed to today: Agent Orange, Post-traumatic Stress Disorder, POW/MIAs, veteran education and job-training programs, homeless veterans, veterans benefits, and the wide range of Veterans Administration health issues. Hindered by the lack of substantial funding for development, membership growth was at first slow. The big breakthrough came when the America hostages returned for Iran in January 1981. It was as if America went through an emotional catharsis that put the issues of the Vietnam era on the table for public discussion. Many Americans questioned why there were parades for the hostages, but not for Vietnam veterans. 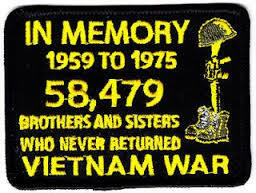 Many veterans complained about the lack of recognition and appreciation for their service to the nation. Vietnam-era veterans wanted action in the form of programs that would place the latest generation of veterans on the same footing as veterans from previous wars. In the early 1980’s VVA’s membership grew steadily, and for the first time, the organization secured significant financial contributions. The combination of the public’s willingness to talk about the Vietnam War and the basic issues that it raised, as well as the veterans themselves coming forward, was augmented by the dedication of the Vietnam Veterans Memorial on the Mall in Washington, D.C., in November 1982. The week-long activities rekindled a sense of brotherhood among veterans and a feeling that they shared an experience that was too significant to ignore. In 1983, VVA took a significant step by setting up its Vietnam Veterans of America Legal Services (VVALS) to provide assistance to veterans seeking benefits and services from the government. VVALS worked under the theory that a veteran’s representative should be an advocate for the veteran rather than simply a facilitator, and quickly established itself as the most competent and aggressive legal-assistance program available to veterans. VVALS went on to publish the most comprehensive manual ever developed for veteran service representatives, and in 1985, VVALS wrote the widely acclaimed Viet Vet Survival Guide, more than 150,000 copies of which are now in print. In the mid and late 1980s VVA grew in size, stature, and prestige. VVA’s professional membership services, veteran services, and advocacy work gained the respect of Congress and the veterans community. In 1986, VVA’s exemplary work was formally acknowledged by the granting of a congressional charter.